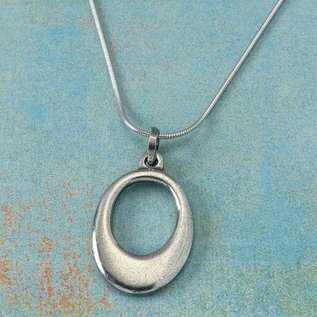 The Ellipse necklace has a solid pewter pendant. Made in Vermont. The Ellipse necklace has a solid pewter pendant and comes packaged on a card. The necklace chain is an 18" sterling silver snake chain with a lobster claw clasp. Pendant 1 1/4" high.